Let our experience in the marketplace go to work for you!! If you’re searching for Real Estate in Hayward Wisconsin, than look no further. 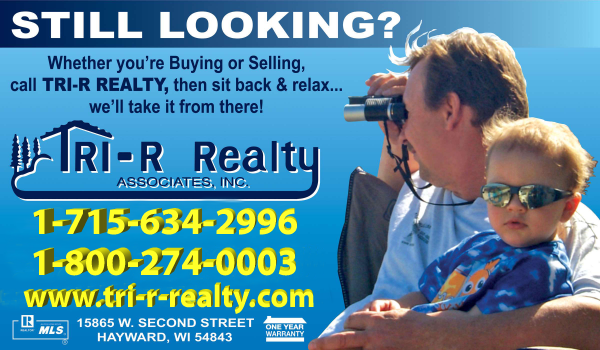 The Realtor® at Tri- R Realty having been helping people find their Northern Wisconsin property for over 30 years. It’s easy! Begin your search for a home, lake home, cabin, waterfront property or any other real estate here and call a Realtor® at Tri-R Realty today! Start your real estate search now for that perfect home, cabin, lake home, waterfront property or land, and call one of our experienced agents.